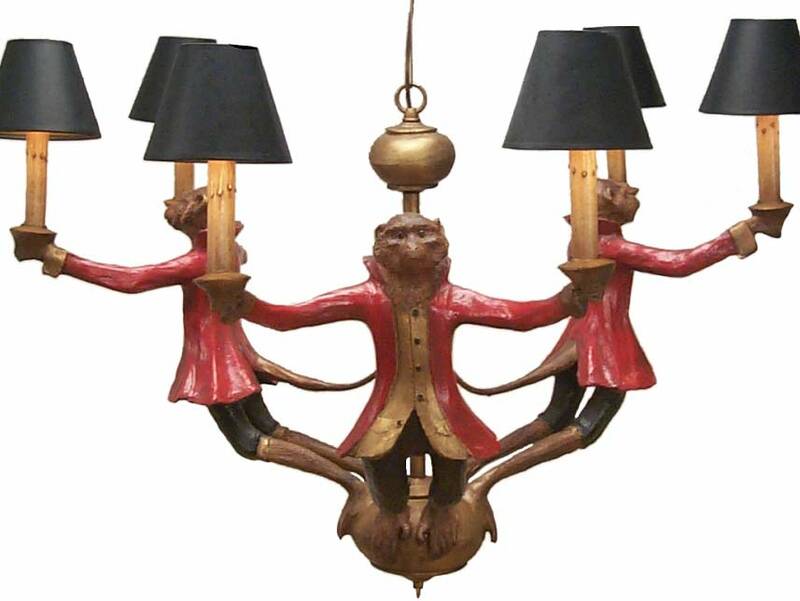 Description: 3 flying monkey chandelier. Each monkey holds 60 watt bulb. Five Monkey also available #324 for $3150. Zebra, tiger or leopard jacket Shades not included. Resin & steel. More pictures available. As seen in the Ballard catalogue. Colors: custom colors available. USA made.